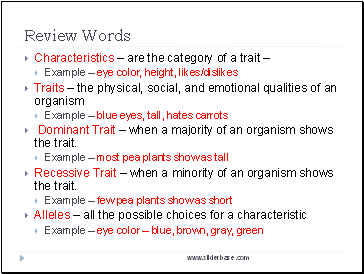 Dominant Trait – when a majority of an organism shows the trait. Recessive Trait – when a minority of an organism shows the trait. 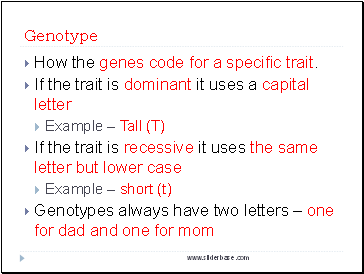 How the genes code for a specific trait. Purebred (homozygous) dominant – the genes only have the dominant trait in its code. Purebred (homozygous) recessive – the genes only have the recessive trait in its code. 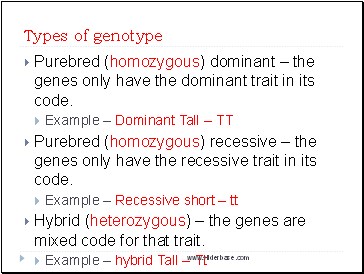 Hybrid (heterozygous) – the genes are mixed code for that trait. 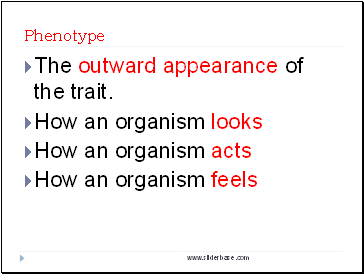 The outward appearance of the trait. 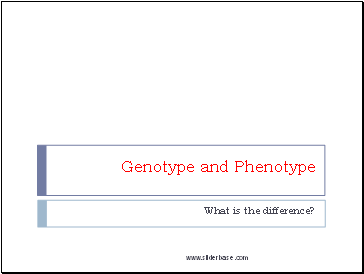 Genotype – deals with GENE CODE. 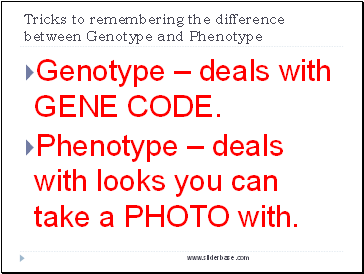 Phenotype – deals with looks you can take a PHOTO with.